Are you looking to entertain your little monsters in Denver during Halloween? From the Chatfield Farms Corn Maze to Boo at the Zoo, check out fun events for children and the whole family in the Mile High City. Bring your kids in costume for the annual Boo at the Zoo event at the Denver Zoo. This event offers trick-or-treating stations, creepy crawly animal demonstrations, and loads more family-friendly entertainment, all included in the price of zoo admission. Get lost in a seven-acre corn maze constructed by the Denver Botanic Gardens staff. You'll want to bring the kids during the day because when the sun goes down, the maze transforms into the Dead Zone Scream Park. Explore the maze Friday, Saturday, and Sunday. Relive the spirited history of the Wild West with walking tours through the towns of Morrison or Golden. The Ghosts and Legends Tour takes visitors through historic Morrison and encourages visitors to wonder who has passed through these buildings and do their spirits still remain? The Murder, Mayhem, and Madness Tour showcases the home of Coors Brewery and includes tales of Golden's storied past of lynchings, shootouts, murder, and more. Both tours are on the suitable for kids. However, with the Murder, Mayhem, and Madness Tour, parental guidance is strongly encouraged for children under 13. Elitch Gardens is a local theme and water park that transforms into a Halloween celebration that is family by day and fright by night. Little ghosts and goblins can enjoy free candy on the Trick or Treat Trail and partake in several Halloween themed interactive challenges. Some nighttime attractions charge an additional fee. Activities include a Ghouls Match where youngsters battle it out through various Halloween-themed challenges on their way to victory, Scream It Out that awards the title of the Scream King or Queen to the child with the loudest shriek, and of course, a costume contest. Creative costumes are encouraged, but no face masks or face paint due to security concerns. It's open Friday nights, Saturday, and Sunday. The Denver Botanic Gardens main location gets ​into the Halloween spirit with a wonderland of illuminated pathways and jack-o'-lanterns galore. 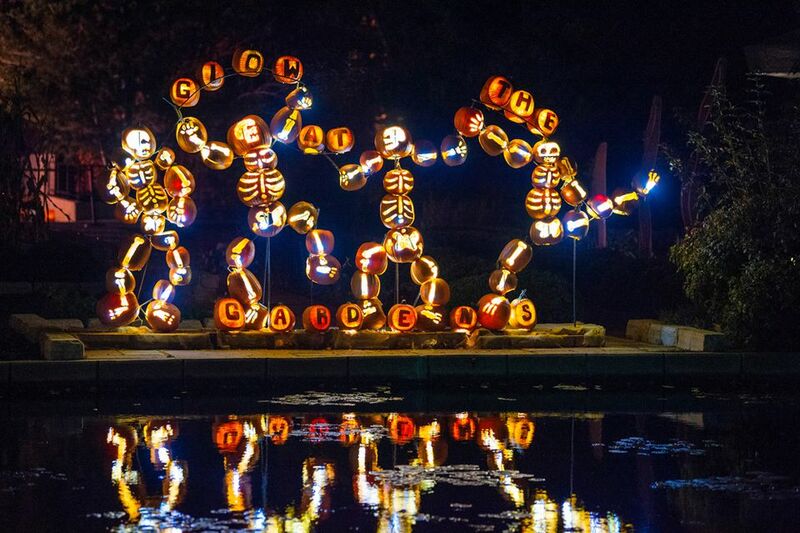 In addition to the spectacular illuminations, guests can enjoy a wide array of activities including live music, "Thriller" dance lessons, Halloween storytelling, pumpkin-carving demos, and carnival games. For three days, the Children’s Museum of Denver hosts the annual Trick of Treat Street event. From trick or treating to autumn-themed crafts, and spooky science activities with museum educators, your little monsters will enjoy educational Halloween fun.